Come share in our explorations in Love and Community! New Culture Summer Camp isn’t quite like anything else. CLICK HERE to read the Communities Magazine article about us! In just over a week together, we will explore our own potential, learn skills to help create a sustainable society, and build connections with others that last all year long! At New Culture Summer Camp, we invite top-notch presenters, and live, work, learn and play together for 10 days or more. 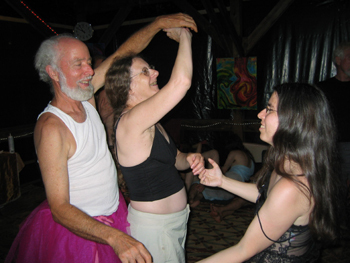 New Culture Summer Camp - Central Oregon is an extended experience of building a sustainable, violence-free culture through intimacy, personal growth, transparency, radical honesty, equality, compassion, freedom of choice in interpersonal and sexual relationships, and the power of community. 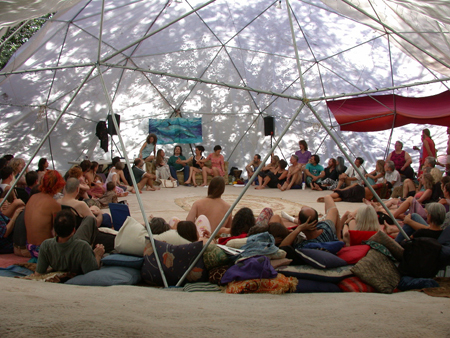 New Culture Summer Camp takes place in a beautiful community setting with meadows, creek, pond, and hiking trails, about half an hour south of Eugene, Oregon. Camping is included in the registration fee, and indoor lodging in one of the two dormitories is available at extra cost. What is Unique About Network for New Culture (NFNC) Summer Camps? We've found that no single human technology or practice can encompass the human experience; our goal is to build a *culture* in which insights drawn from many sources are common knowledge, *available* but not imposed. We bring in many new presenters every year, and the result is that our participants have a huge pool of technologies and practices to draw from. Each person is fully "at choice" in any of our events, and each person is free to use the insights and practices that work best for them. Many of us have been consciously involved with the personal growth process for years; but we have seen that most people struggle to be able to incorporate those processes into their daily lives. 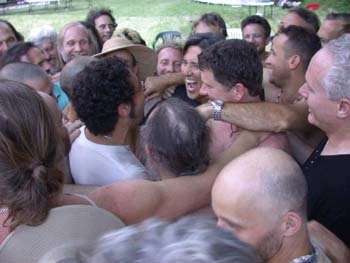 Our camp is 10 days long so that there is time for real issues to come up -- i.e., relationships form and shift, people push their edges, folks get upset at each other. Campers support each other to work through these issues in new ways. As a result, in the words of one of our participants from last year, "Ideas become practiced ways of being." Most of these are created and facilitated by campers. We have morning whole group check-ins, evening "family group" time, an all-volunteer "compassion cadre," and self-organized work teams. Powerful and long-lasting. People change their lives as a result of camp – new jobs, new communities, new projects. Most participants wind up connected with other participants on an ongoing basis, through e-lists, frequent gatherings, personal relationships, and joint projects.